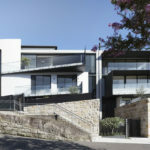 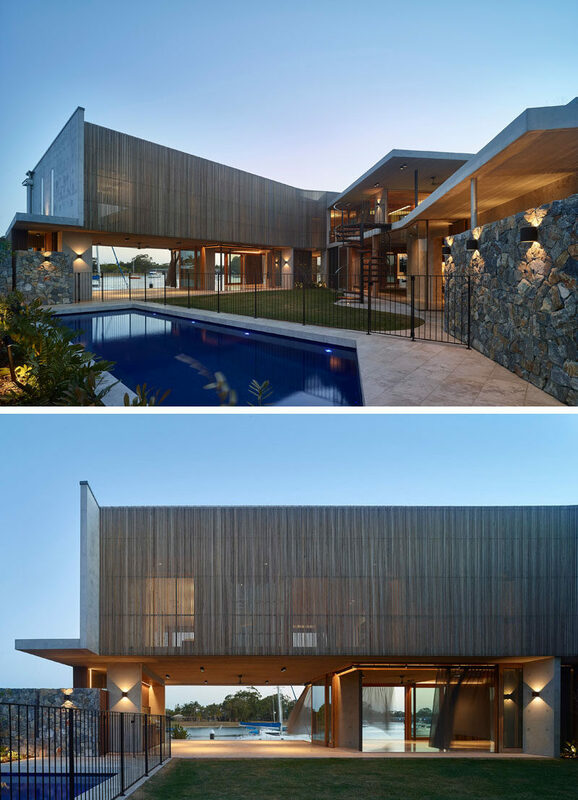 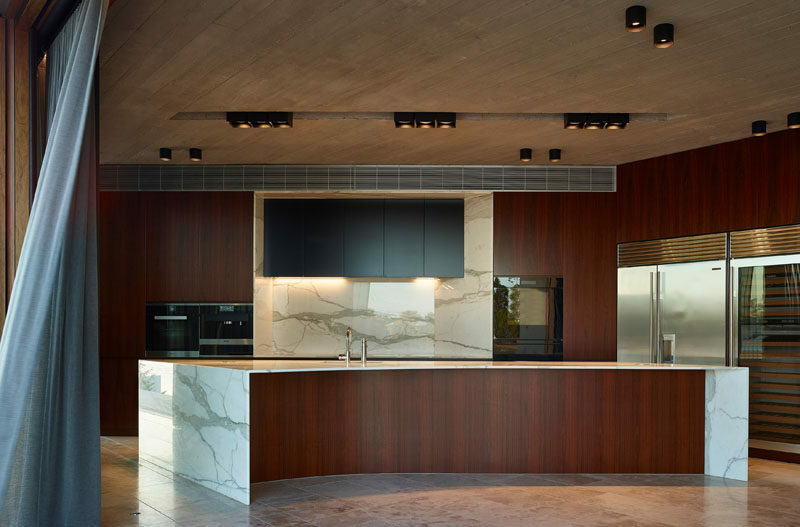 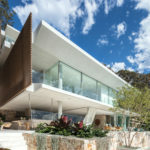 Shaun Lockyer Architects (SLa) have completed a new waterfront house on the Sunshine Coast in Australia. 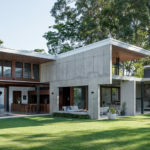 The home will be used as a holiday house that will one day become the permanent home for the owners. 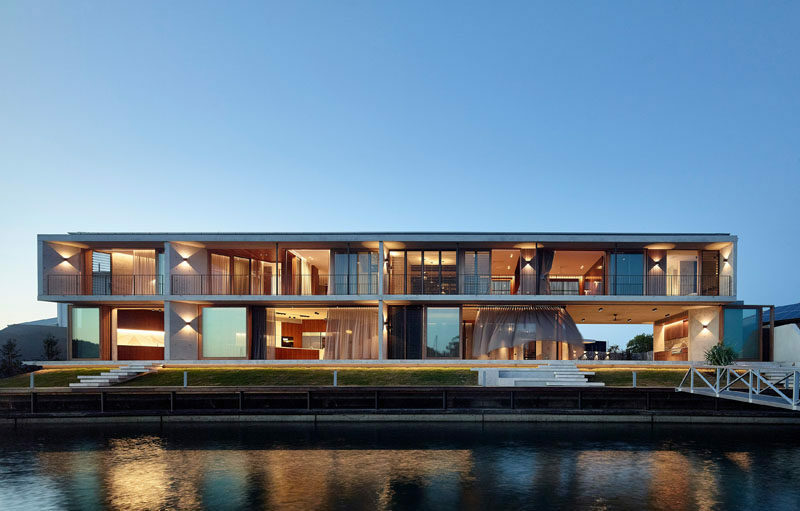 The V House design employs a simple ‘courtyard home’ concept, with the house embracing the irregular-shaped site boundaries to leverage the north-east orientation to the courtyard and connect to the water’s edge on the south. 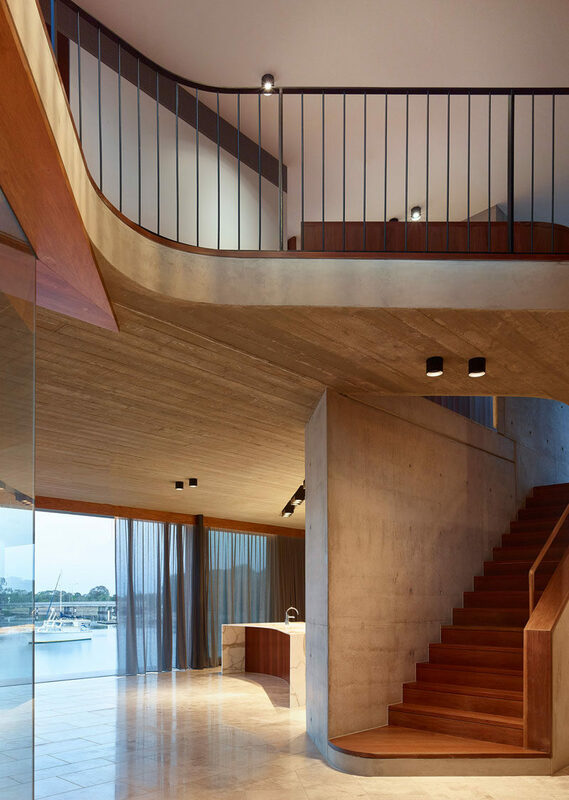 The social areas of the home are open to both the courtyard and the waterfront, creating true indoor / outdoor living spaces. 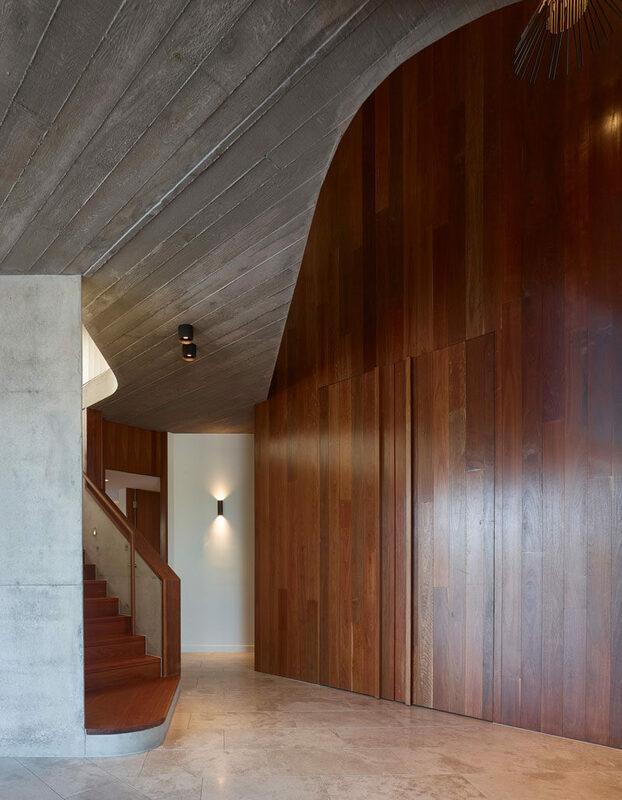 The use of wood throughout the house contrasts the walls and board-formed concrete ceiling, and adds a striking natural touch to the home. 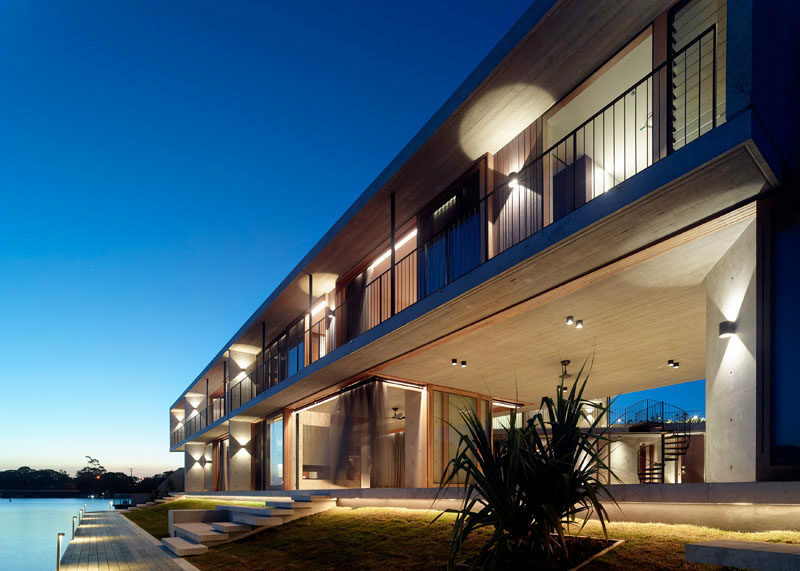 Wood stairs lead from up to the bedrooms and a snooker / games room, that enjoys a landscaped roof-top terrace. 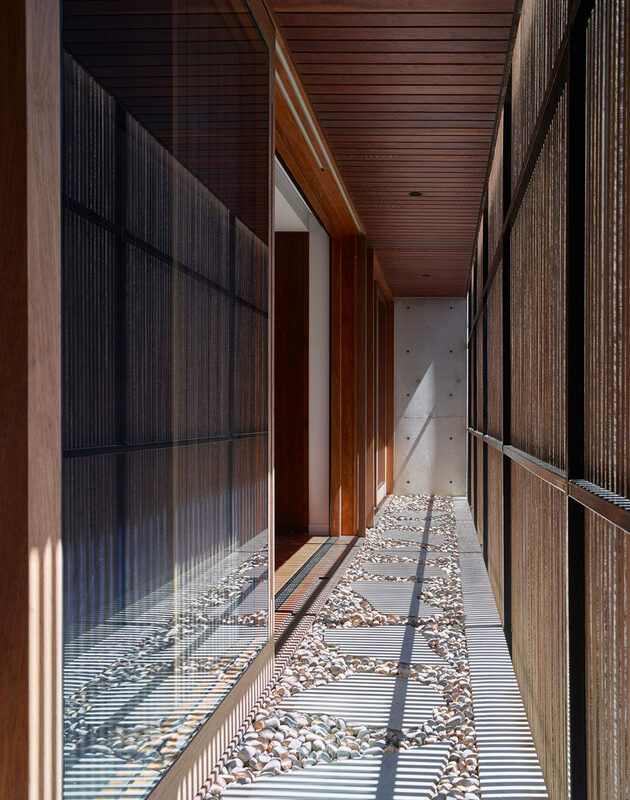 The timber screen on the exterior of the house presents as a Japanese lantern by night offering a pleasant and warm edge to the public realm. 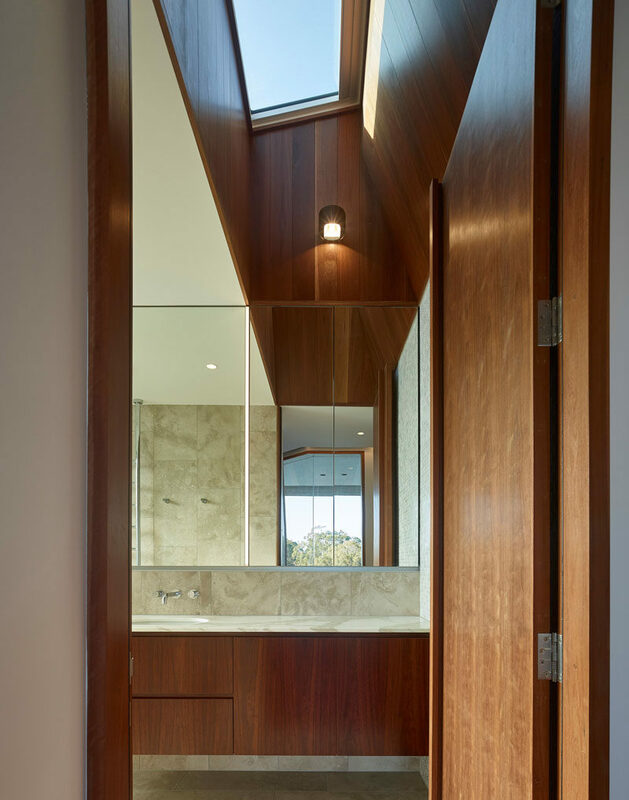 Skylights add natural light to the interior, and the angled lines are highlighted by the use of wood. 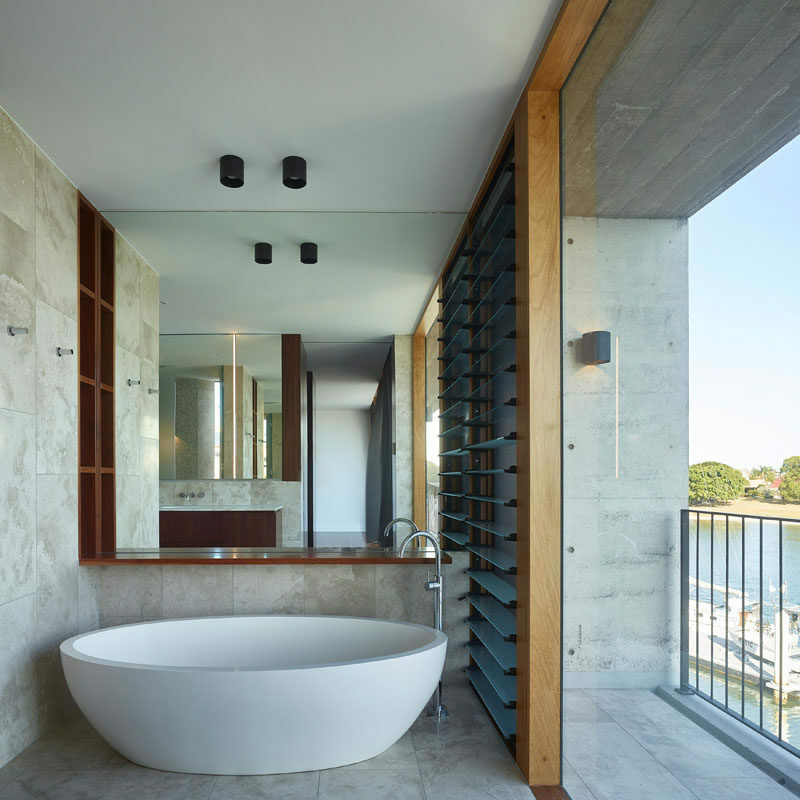 The bedrooms and bathrooms upstairs have sliding doors and floor-to-ceiling windows that take advantage of the water views.